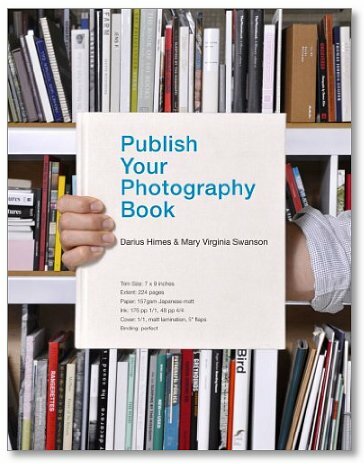 photo-eye is pleased to host a talk and booksigning with the authors of the long-awaited Publish Your Photography Book, Darius D. Himes and Mary Virginia Swanson. Himes and Swanson will speak about their book shortly after 5:30, followed by a booksigning of this incredible new resource. For years, photographers have awaited a source of information about publishing their work. This new book includes case studies, interviews with photographic publishing professionals, a timeline for marketing and design and production and many other invaluable resources organized by two of the most knowledgeable book professionals. The signing will take place on Saturday, April 9th from 5:30-7:00 pm and will be a follow-up event to their all-day seminar "To be Published or Self-Publish: A Publishing Primer." More information on the seminar and the book can be found on the Publish Your Photography Book website. Preorder a signed copy of this book.